Monika Lidke creates exciting and original music that truly connects with the audience. Her songs blend jazz and folk with Polish and French roots to create a mesmerising live show. Monika released her second album ‘If I was to describe you’ in July 2014 on 33 Records in the UK. The album features acclaimed Polish singer Basia Trzetrzelewska and hip bassists Janek Gwizdala and Shez Raja. A jazz singer of Polish origin, Monika studied classical guitar in Poland, then singing and theatre in Paris. She relocated to London where she released her debut album ‘Waking up to Beauty’ in 2008. 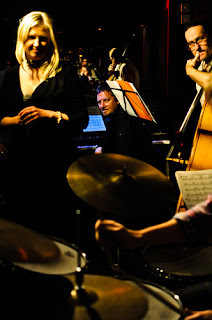 Her band have performed at high profile venues and festivals including London Jazz Festival, Manchester Jazz Festival, Rhythms of the World Festival, The Forum London, Ronnie Scott’s Bar and Pizza Express Soho. 'If I was to describe you' has also been released to critical acclaim in Poland where Monika has been appearing extensively on national TV and radio. One of the songs, featuring Basia Trzetrzelewska (Tum tum song) has been featured on the compilation album Smooth Jazz Café vol. 13 released by Universal, and Monika was nominated Artiste Of The Week on Heart FM Spain. A line of fans young and old hoping to see a show that had sold out of advance tickets stretched past a nearby ramen shop...This was a Jazz show, mind you. In 2012.â From a recent performance review, The Los Angeles Times simply states the future of Jazz is bright with rising saxophonist Walter Smith III. Although it may appear Smith is a young gun on the scene at age 33, he is widely recognized as an adept performer, accomplished composer, and inspired educator. Smithâs debut recording as a leader was released in March of 2006 on the Fresh Sound New Talent label and features many of the brightest young Jazz talents. His sophomore release, titled Live in France, was released in October 2009 to critical acclaim. His most recent album, III, was a top 10 best seller on iTunes. Walter will release his latest project still casual worldwide on September 9, 2014. In the Jazz tradition, Smith has developed under the wings of many of the musicâs greats. 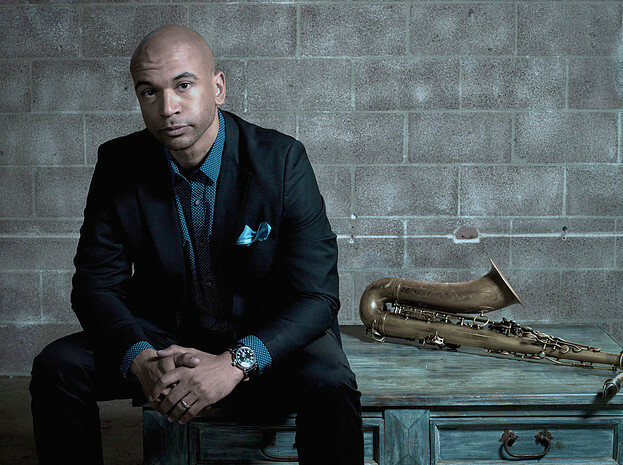 Walter is/has been a member of several legendary groups (recording and touring) including the Terence Blanchard Quintet, Eric Harland's Voyager band, Roy Haynes "Fountain of Youth" band, Jason Moranâs Big Bandwagon, and the Christian McBride Situation band. Smith has performed all over the world participating in numerous international festivals as well as famed venues such as Carnegie Hall and the Kennedy Center. In addition, he has shared the stage and/or appeared on recordings with many Jazz notables including Roy Haynes, Eric Reed, Mulgrew Miller, Joe Lovano, Walter Beasley, Terri Lynne Carrington, and a host of others. To date, Walter has appeared on over 75 recordings that are released worldwide. With his fresh sound and compelling original compositions, Smith is consistently called as a sideman in some of Jazzâs developing and gifted bands including Ambrose Akinmusire's Quintet, Christian Scott's group, and the Sean Jones Sextet. Originally from Houston, TX, where he attended Houstonâs HSPVA, Smith now resides in the Los Angeles, CA area. When not on the road, Walter utilizes his Music Education degree from Berklee College of Music, Masterâs degree from Manhattan School of Music, and Graduate Certificate in Performance from the Thelonious Monk Institute of Jazz to enlighten the next generation of Jazz students. Born in 1959 in Cape Townâs historic Langa township, South Africa. Reedman McCoy Mrubata grew up with the sounds of African music. The soulful hymns of the Zion Church, the chants and rhythms of traditional healers and the brassy jive of the Merry Macs band who rehearsed opposite his home. When schooling became impossible in the fiery aftermath of the 1976 uprising, the young McCoy then playing flute studied informally under Langa greats like Madoda Gxabeka, Winston Ngozi , the Ngcukanas, Ezra and Duke, Blackie Tempi and Robert Sithole. By the early 1980s he was playing in cover bands like Fever, Touch , Airborne and Vukani, from there he moved to crossover outfit Louis and the Jive. In 1987 McCoy was spotted by bandleader Sipho Hotstix Mabuse who helped him make Joburg his home. In 1988 he joined PJ Powers band and also that year McCoy was sported by veteran producer Koloi Lebona who offered him a recording deal with a British based record company Zomba Records the same record company had produced music for, amongst others: Jonathan Butler and Billy Ocean. McCoyâs debut album, Firebird was released the following year. In 1989 he formed Brotherhood, which also included guitarist Jimmy Dludlu pianist Nhlanhla Magagula and Lucas Khumalo and later Moses Molelekwa. In 1990 the band won the Gilbeyâs Music for Africa competition. In 1992 he began touring with Hugh Masekelaâs Lerapo, alongside guitarist Lawrence Matshiza and pianist, the late Moses Molelekwa among others. He also created his own bands, Cape to Cairo and McCoy and Friends. In the mid 1990s, he made the first of a series of albums as leader for the independent Sheer Sound label: Tears of Joy. The personnel of Friends, including pianist Paul Hanmer, bassist Andre Abrahamse and trombonist Jabu Magubane among others have formed a consistent team of collaborators for McCoy. Since those days, more albums have followed: Phosa Ngasemva, Hoelykit, Face the Music which won the 2003 South African Music Award in the Traditional Jazz category and Icamagu Livumile which won the same award in 2005, as well as the compilation CD â Best of the Early Years. Brasskap Sessions Volume 1 won the 2008 award. In addition, McCoy has collaborated with a dazzling array of South African jazz players, and with overseas artists such as Airto Moreira and Flora Purim. 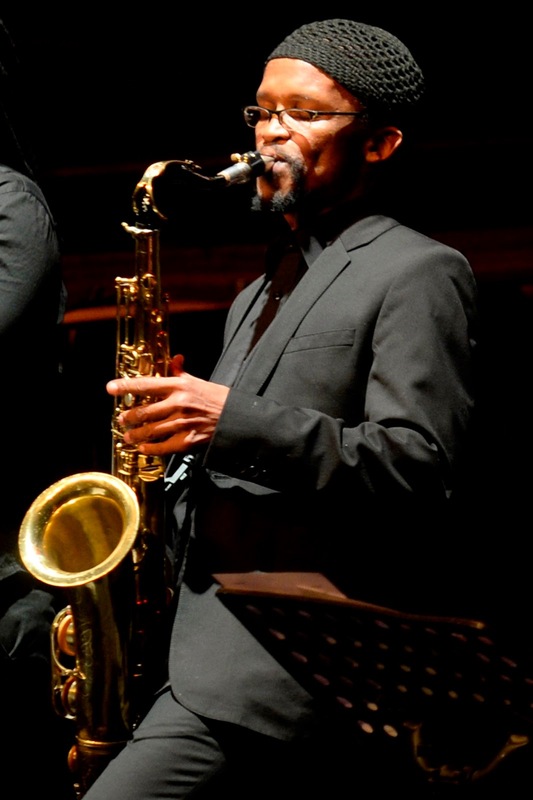 He has been involved in drama, creating scores for South African productions about journalist Bloke Modisane and saxophone legend Kippie Moeketsi, and in 2001 starring in a Norwegian production based on the life of John Coltrane. He has also created what he calls the Young Friends: a collaboration with the next generation of South African jazzmen. McCoyâs other projects Include Kulturation a duo-led album with pianist Wessel van Rensburg exploring new interpretations of tunes from the African and Afrikaans communities. This project blends together familiar tunes from the Xhosa and Zulu cultures with Afrikaans folk music tunes fusing these into contemporary versions of local South Africa music. Vivid Africa, is another collaboration with multi-instrumentalist Greg Georgiadis, using instruments like oudh and bouzouki alongside saxophones to explore the musical spices of the East African coast. McCoy was also a member of a super band Sheer All Stars which consisted of some of the best musicians In SA Jazz : the late Sipho Gumede,Errol Dyers, Paul Hanmer,Frank Pako, Wessel van Rensburg and Louis Mhlanga. They recorded three albums; Indibano, Live at the Blues Room and Dance With Me. McCoy and his long time friend Paul Hanmer recently released a CD that was recorded live In 2009 at Alte Kirche Boswil, Switzerland during the Kulak Jazz festival. In January 2011 he collaborated with Norwegian musicians In project called Indibano and they performed at the Nordic Black Theatre In Oslo. McCoy also conducted the South African Youth Jazz Band this year In June/July at the Grahamstown festival and they also performed In August at the Joy Of Jazz In Newtown JHB South Africa. McCoy has just finished a new album working on which is released digitally on the 6th of June 2014. McCoy also produces, teaches and spends a lot of time, as he puts it, simply being a family man. âMy ambition is to keep our kind of music alive here at home. Everything I do is about linking the now to the community I came. 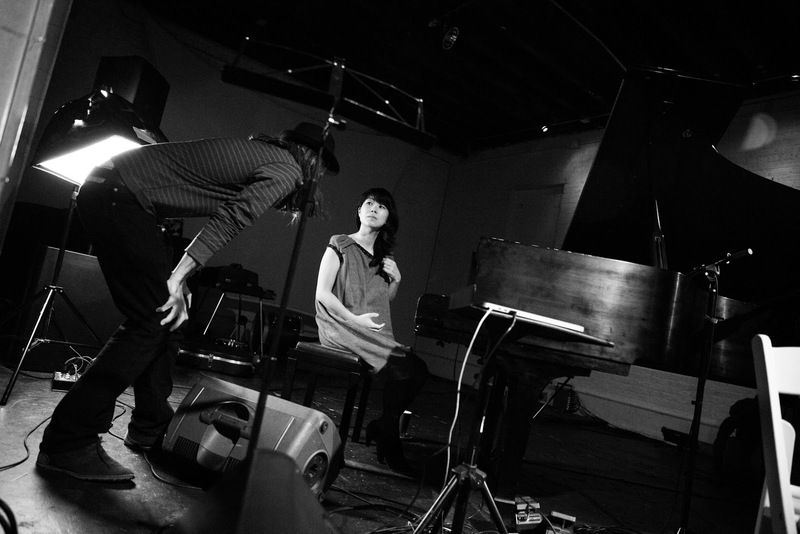 Yagull is New York post rock chamber project featuring composer/ guitarist Sasha Markovic and pianist extraordinaire/ composer Kana Kamitsubo. Following the success of critically acclaimed album "films", the couple recorded the new material with a help of the fantastic line up of guest musicians hailing from eight different countries including fellow MoonJune international recording artists Beledo, Dewa Budjana, and Marko Djordjevic. The second album named after their son Kai born during the period of writing and producing the record, is now available on MoonJune Records. The couple is going back to studio, this time in Kobe, Japan in April 2016 to start working on their new album. Yagullâs second CD, their debut for MoonJune Records, âKai,â represents big musical and personal changes for group founder, composer, producer, and guitarist, Sasha Markovic. Yagull has officially became a duo with the addition of Sashaâs most challenging collaborator up until this time, pianist extraordinaire Kana Kamitsubo. Sasha and Kanaâs partnership went further as they became husband and wife. Album âKaiâ and the title track are named after their son born in 2014. Picking up where the last Yagull CD, âFilmsâ left off in 2012, âKaiâ expands the post rock chamber soundtrack concept exploring new structures written around acoustic guitar, bass, percussion and acoustic piano. Yagull as a duo has an increased crossover potential for attracting listeners that may not be dialed into any of the specific genres baked into this release. Yagull delivers eight brand new compositions, two tunes from "Films" revisited ( Dark, Sound Of M ) plus two covers for this sophomore release. The tracks range from "North" which exploits Kana's mastery of creating evocative mood and space for Sasha to play, folksy "Z-Parrow" while "Omniprism" drifts into progressive rock ambiance. Methenyesque tune âBlossomâ, leaves space for special guest Dewa Budjana to shine with another beautiful, lyrical solo. The title track for their son emotes a melody that can easily go alongside "Waltz for Debby" by Bill Evans in any play list.Sasha once again wears his affection for classic rock as a badge reworking the Free song, "Wishing Well," which was also passionately performed by the late Gary Moore, as well as Deep Purpleâs âBurnâ. Beledoâs majestic lute introduction pays a homage to Deep Purpleâs live version from the "Made In Europe" record. The duo are also joined by several guest musicians, the extraordinary and diverse line up hailing from eight different countries, including fellow Moonjune international recording artists Beledo (guitar), Dewa Budjana (guitar) and Marko Djordjevic (drums), as well as the long time collaborator flutist Lori Reddy, Anthony Mullin from The Blackfires (guitar), Jackson Kincheloe from Sister Sparrow & The Dirty Birds ( harmonica ), Gabriel Nat (clarinet), Wen Chang (violin) and Yoshiki Yamada (upright bass). âKaiâ has set Yagull on a journey that will appeal to wide range of listeners. This is essential MoonJune music. Yagull "films" is written, arranged and produced by composer/ guitarist Sasha Markovic who is joined by an extraordinary group of soloists consisting of Lori Reddy (flute), Eylon Tushiner (sax) and Sonia Choi (cello). The music on "films" appears very cinematic and theme based, but would probably best be described as a "next generation post-rock chamber music." Like an independent film, the moods on "films" move from the dramatically atmospheric to playful. Two classic rock pieces appear in the mix that serve as listener friendly signposts within the landscape. "White Room" by Cream and "Sabbath Bloody Sabbath" by Black Sabbath are both bravely deconstructed from their iconic forms and melodically reconstructed as dreamy reflective impression pieces. The album closer, "Distance, " brings out the full band sound - featuring soloists Reddy and Choi, and special guest, Josh Margolis, on drums.